Slobbery kisses from your pup may be sweet, but dog breath definitely isn’t. 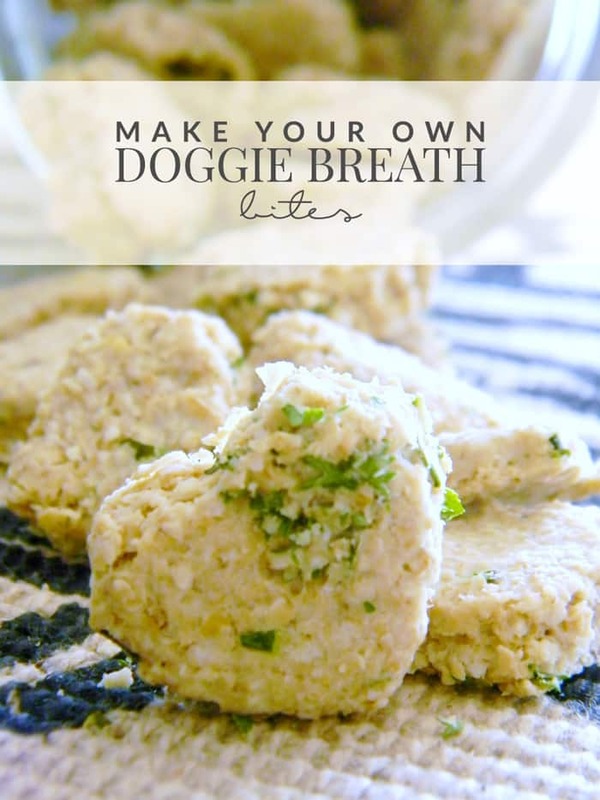 Make these dog breath treats for sweeter licks! I am so excited! In just a few weeks, my husband and I are bringing our Cairn Terrier puppy home! This is the first pet we’re getting as a couple and I can’t wait to have our furry, new addition in the house. I have been going crazy with puppy prep! In anticipation of our little guy’s arrival, I’ve made quite the checklist of things to get for our puppy’s arrival. Included on that list, of course, is treats. While Puppy Holoka has packaged treats all ready for him to come home to, I’ve come across a lot of recipes that I want to try, as well. A lot of the recipes I’ve come across on Pinterest include herbs and veggies we currently have growing in our garden. I like having nutritious, homemade options to keep our little guy happy and healthy. So I set out to make these dog breath treats. One of the things I’m looking forward to with Puppy H.’s arrival is all of the love and affection a dog brings to the house. And while doggie kisses are so sweet, dog breath isn’t. But it’s easy to make it better with the beneficial ingredients like parsley and mint. Mint naturally sweetens breath while parsley is also a good bad breath buster, but also aids in good digestion. Coconut oil has many benefits for dogs, too. It’s great for their skin, coats, digestion, brain health, and more! 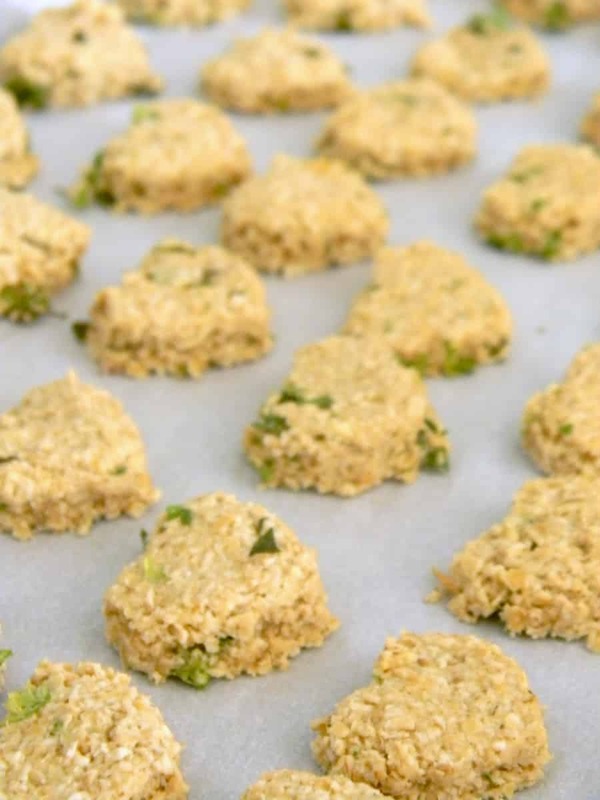 Since we have a ton of fresh parsley and mint from our garden, it’s even easier to make these dog breath treats! A sweet, doggie breath busting treat for your favorite, furry companion! In a blender pulse oats until they resemble flour. In a large bowl, whisk parsley, mint, egg (or applesauce), water, and oil to combine. Gradually add oats and stir. Knead dough a few times, then turn out onto a plastic cutting board. Using a rolling pin or your hands, flatten dough out to your desired thickness. 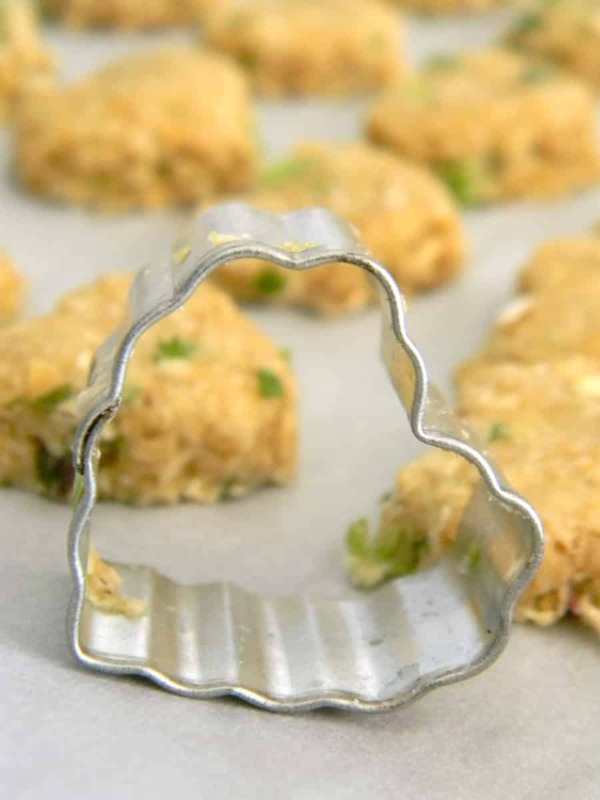 Use a mini cookie cutter to cut bites out. Place treats on a baking sheet lined with parchment paper. Bake treats 35-40 minutes, or until golden brown. Allow bites to cool completely before your treating your dog. 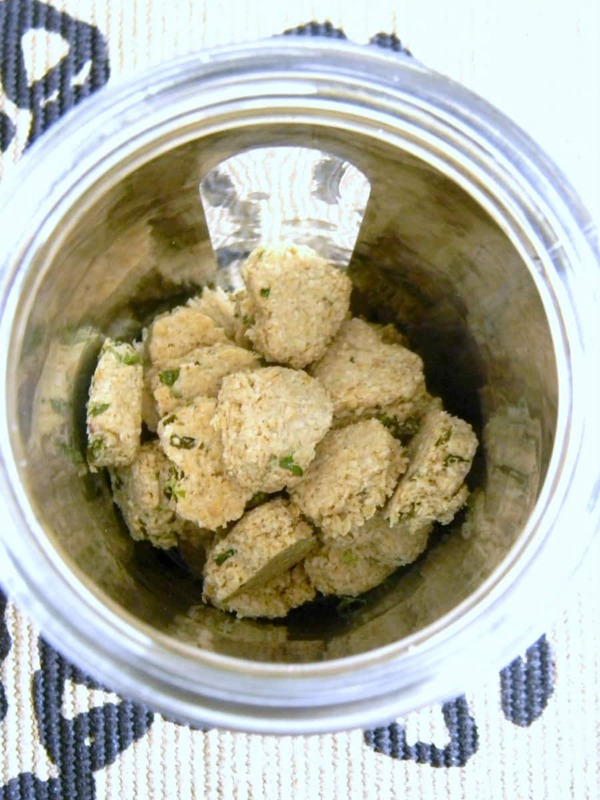 Store bites in an airtight container. I must admit that these treats smell pretty darn good! With all of the yummy ingredients in these dog breath treats, your furry family member will surely thank you with lots of sweet kisses! What would you add to these dog breath treats? What are your favorite types of homemade dog treats? I am totally going to try these and I love that you grew the mint and parsley are from your garden! Hopefully the pup will like them! We love growing fresh herbs and veggies in our garden every Summer. I love that these herbs are so beneficial for all of us! I hope the puppy likes them, too! Thank you! Oh nice! We have a golden who could use some breath treats :) He has some allergies so we may have to modify them a bit, but we’re definitely trying these. Congrats on your puppy! Totally going to try this! Love this idea! So cool. Thanks for sharing! Pinned this! I was just telling my best friend his breath was a bit stinky… lol! This is a genius idea! Forwarding to my sister who just got a puppy!! Congrats on your sister’s new puppy! I hope the new little guy or gal enjoys these! Do you think these would work for cats as well? My cats breath is the WORST! That’s something I’m not entirely sure about since their digestive system might be a little different than dogs. I would search Google or Pinterest, though! Good luck! Oh my gosh i am SO excited to try these! I lucked out and got a dog that has fairly doable breath..but my moms dog…WOW! I can’t wait to give these to her! ah this is such a genius idea! Saving for later! What a great idea. I can see why parsley and mint would be good at breath freshening. These treats look pretty easy to make. How long will they keep in the fridge? thanks! My guy needs these bad! He’s got some stanky breath! I certainly hope they help your boy out! Boy do I hope these work for my older guys! Many thanks for linking up at Lambert’s Lately! Stoked you were featured! Just wondering if I could substitute the coconut oil for something? I don’t have any and it’s not easy to come by in my town. Hey Jess! I would probably go with another oil like olive oil that’s healthy for dogs. If you ever need coconut oil in the future, you can always shop Amazon for it! Oatmeal is considered a grain. Therefore, these may not be the best treats for a dog on a grain-free diet. However, I have shared plenty of other grain-free dog treat recipes. You can check them out here: https://www.hellonatureblog.com/author/jessicah/ Thanks! I’ve been wanting to make my own doggie treats, but I haven’t gotten around to it yet. Hopefully soon! Pinning for later. I love that you use fresh ingredients! So much nicer than store bought dog treats with who knows what in them! Thank you for sharing on Family Joy Blog Link-up Party. Hope you are having a great week! Thanks so much! I definitely like to make my dog homemade treats from time to time. You’re so right about fresh ingredients. Like feeding the rest of your family food, at least you know what’s going into your dog’s treats. Almost a year later, I can definitely tell you that he’s one spoiled little dog! Haha! Thanks so much! My puppy loves treats and I enjoy giving them to her. What I don’t enjoy is her breath! I love these! We are on a path to cleaner eating and these treats will help her be cleaner also! 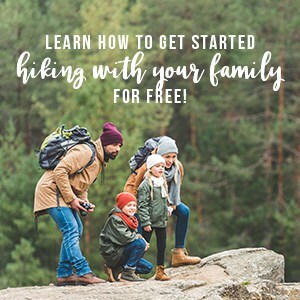 Thanks so much for sharing this at the This IS How We Roll Link Party. I will be following your social media and checking out more of your posts. I love that you’re sharing a clean eating lifestyle with your dog! I hope your puppy enjoys these treats and you enjoy her fresh breath! Love getting kisses from my dog but do not love the bad breath. These are such a cute and easy fix! Congrats on your feature in the This Is How We Roll link party at Organized 31! I’m pinning this post now. So in terms of appearance and ease my attempt was a total Pinterest fail. A couple of tips. Make sure your blender actually turns the oatmeal into flour. Mine didn’t. Also chop your greens very fine. Bigger chunks make it harder to stay together. I ended up using 2 eggs to get my dough to form. On the plus side, my very picky rescue mutt who would rather eat the cheapo junk treats actually liked these!!! So yay!!! Will def make again, I just won’t rush it.